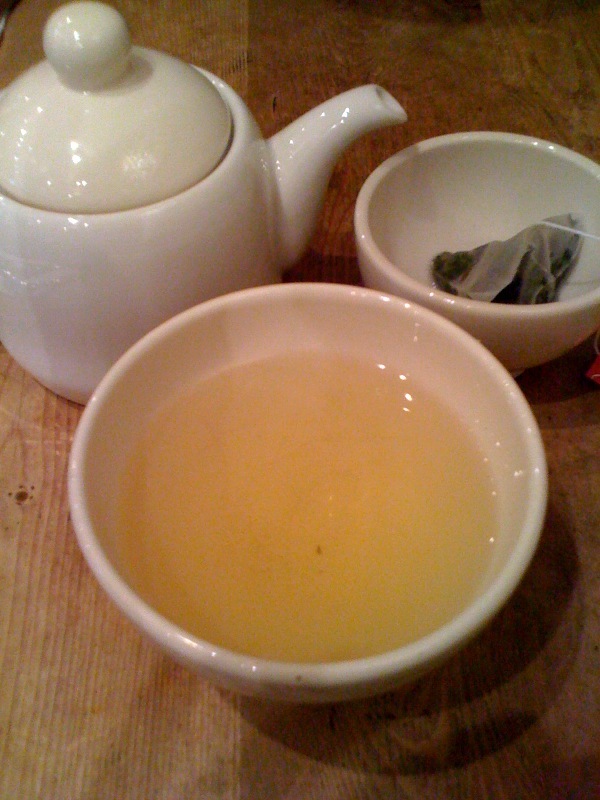 I have one more nearby chain tea shop to visit but in the meantime here are two photos of the green tea served at the boulangerie Le Pain Quotidien. I ordered a hot green tea from the Bleecker Street location a couple of weeks ago. 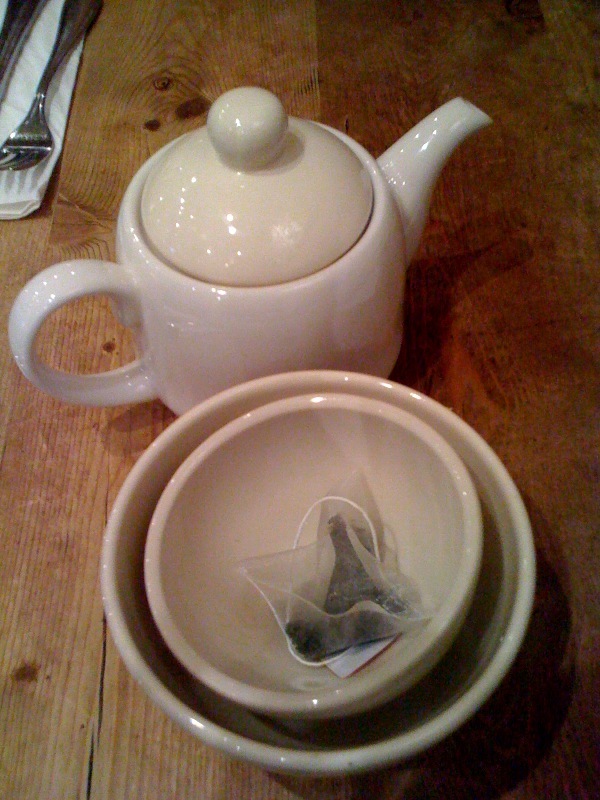 The presentation was sweet: nested cups and white teaware. The flavor changed with multiple steeps and as the water cooled.